Fiona Dunbar was especially touched Judith Kerr contributed, as the Berlin-born writer was a refugee, escaping from Hitler’s Germany in 1933. Setting up the blog Authors for Refugees, Ms Dunbar used her arts contacts to auction a signed poster by Doctor Who actor Peter Capaldi, helping her raise around £25k. Adult authors, including Dartmouth Park writer Tracy Chevalier, also took part. Ms Dunbar wrote on her blog: “This humanitarian crisis is so vast, I think that for many it’s overwhelming. I know a lot of amazing people who have given their lives over completely to working to help refugees, in Calais and other camps, others who have set aside prolific careers in order to give months of their time. via Crouch End children’s author raises £25k in literary auction to help refugees – News – Hampstead Highgate Express. The novelists Patrick Ness and John Green are en route to raising £40,000 for Save the Children in four hours as part of an appeal to help refugees affected by the crisis in Europe. Ness, an award-winning children’s author who has twice won the Carnegie Medal, set up a fundraising page in an attempt to do something concrete. “My angry tweeting does pretty much nothing. Except say, maybe, that this isn’t in my name. Which feels right but feeble,” he wrote, shortly before posting a link to a page in which he promised to donate £10,000 to Save the Children once the public had donated the same amount. The target was reached within two hours. John Green, whose bestselling young adult novel The Fault in our Stars was made into a successful Hollywood film last year, then offered to match the next £10,000. The total currently stands at more than £18,115. Derek Landy, author of the children’s series Skulduggery Pleasant, has offered to match the next £10,000 should the fundraising reach £30,000. 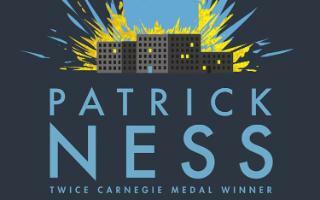 via Authors Patrick Ness and John Green raise more than £18,000 for refugees in four hours. The stories of refugees leaving North Africa in risky attempts to cross the Mediterranean, so much in the news, give a painful timeliness to the plight of a young boy and his grandfather in “Close to the Wind” (David Fickling, 290 pages, $17.99), a novel for 10- to 14-year-olds. In a bid for universality, first-time author Jon Walter has not situated his story in an obviously recognizable country—it might be Argentina, it might be anywhere—and the effect is to raise the tale of one child’s journey almost to allegory. via Children’s Books: One Child’s Journey – WSJ.